in your favorite accounting platform, with the doc attached. Online with the doc attached. Connect Hubdoc & Quickbooks Online to automate your accounts. Audit-proofing a business has never been so effortless. Watch a quick video on how to integrate Hubdoc and QuickBooks, an online accounting software. without having to install software. Collaborate with your team on your financials. including invoicing, reporting and more. "Hubdoc is a huge time saver, particularly when you're onboarding a new client, and it will launch your paperless practice to the next level. I love it and my clients love it." "This is a fantastic tool for the digital arsenal. It's a great timesaver and works amazingly well. It has quickly become a core product for our cloud-based platform. Highly recommended!" 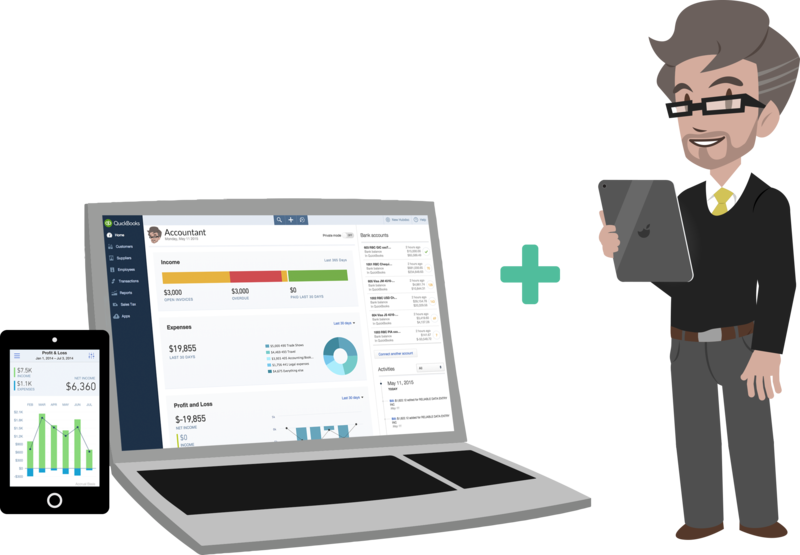 "Hubdoc lets you do bookkeeping without lifting a finger! No more waiting for clients to send you documents, or logging in to all their different online accounts to manually save them." "All I can say is - I don't remember how I did work before Hubdoc. It’s a simple, efficient, secure and powerful app that does it all. No more data entry, just data management!" "Hubdoc's system of capturing all of the receipts and statements for the business is a time saver in and of itself. The integration into QuickBooks is the icing on the cake. I love the fact that the document is attached to the entry in QBO." 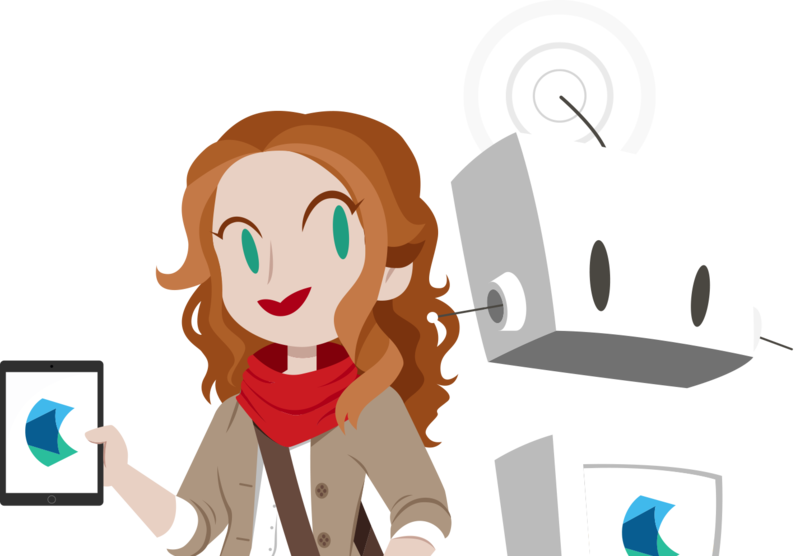 "Hubdoc and QBO together completely automate the bookkeeping process for my clients. What's even better is that now the cloud based file is practically audit-proof which is huge for both me and my clients. Very happy with Hubdoc." (and their data) with your favorite accounting platform. 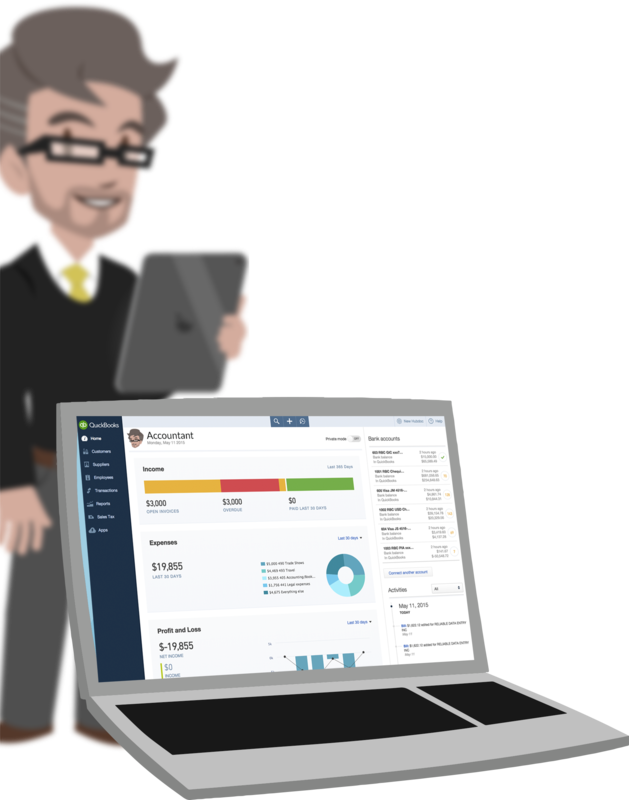 Quickbooks Online is an easy to use, feature rich version of America's most popular accounting software for small businesses. It helps small businesses save time organizing their financial data in one place - anytime, anywhere. Users can access their data on any internet-connected PC or Mac via popular web browsers without having to install software. Collaborate with your team on your financials. Your online banking transactions are automatically downloaded. Find out more or try Quickbook Online Accounting Software for free. "All I can say is - I don't remember how I did work before Hubdoc. It's a simple, efficient, secure and powerful app that does it all. No more data entry, just data management!"